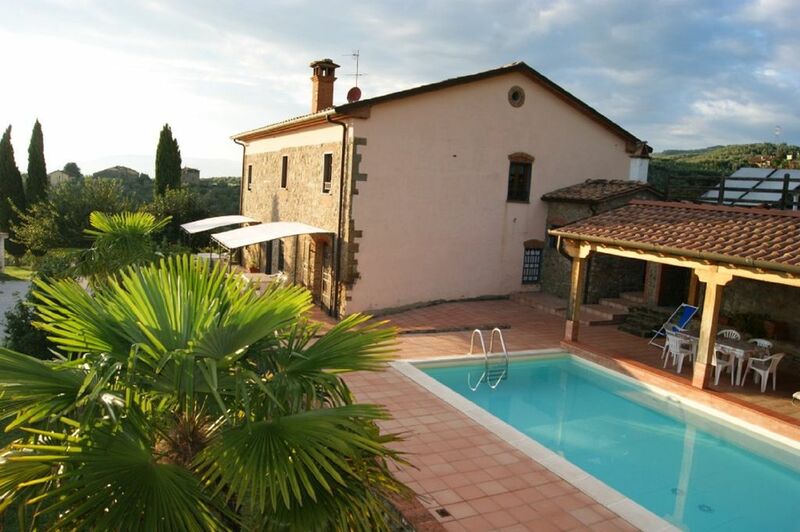 Since 1980, the Azienda Agrituristica Fadanelli has been producing and selling Chianti wine and extra-virgin olive oil directly and has also carefully restored an old farmhouse dating back to 1500, making apartments available for use as a farmhouse with a swimming pool. The Fadanelli farmhouse has been rebuilt respecting the original structure both for the dwelling and for the surrounding rural buildings, such as the dry-stone walls typical of the Montalbano area. You can reach the center of Lamporecchio (distance 1.5 Km) in 3 minutes by car, where you can find various shops, supermarket, newsstand, medical assistance, pharmacy, restaurants, pizzerias, ice cream parlors and sports facilities (tennis courts) and soccer, gym and sport fishing).